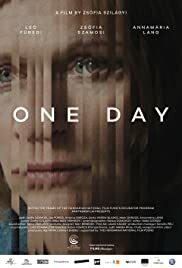 This very realist film tells the story of a Hungarian mother of three little children (the oldest being in elementary school and the youngest being in pre-kindergarten). Anna's, the mother's, day is completely full, starting 6 until late in the night, with taking care of the kids, working in a language school and worrying about her marriage, because of her cheating husband. I think the filmmakers used very real experiences making this film, which piece of art is also very Hungarian in the experiences it depicts. The last scene is the best one, because that is the moment when Anna finally gives in and, in a way, takes care of herself.